Move aside Trump trade wars! We have mortgage wars between the banks to deal with right now. If you haven’t heard the news yet, HSBC and BMO have officially just dropped their mortgage rates, which will ultimately force other competing banks to follow suit. Three weeks ago, I wrote an Insight Article called, “The Market is Crazy – What Should I Do?! 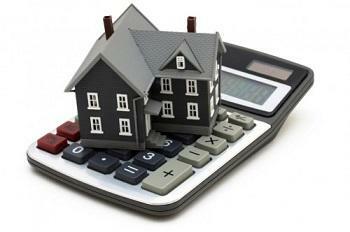 Fixed or Variable Mortgage?“. That article answered a yearning question of whether you should go fixed or variable with your mortgage rate. Knowledge is Power – Another interest rate announcement will take place next week on July 11th, 2018. But whether the interest rate increases or not, we technically already have a discounted rate from these bank promotions. As investors, being in the know is half the battle! 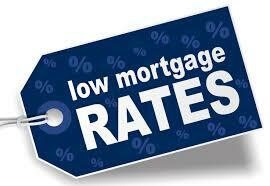 So being able to understand what is going on with the mortgage rates is critical to being a savvy investor. Controlling the Rates – I’ve spoken to many mortgage brokers on this matter and I get the feeling that many of them believe that the major financial institutions are like the biggest money cartels. In a way, the major banks essentially monopolize the industry as they control the interest rates and dictate the cost of borrowing. That said, there is nothing we can really do about that if we need to borrow money in order to fund our investments. Driving the Bottom Line – It’s a highly competitive industry because when one of the major financial institutions reduces their lending rate for mortgages, it will drive the other lenders to reduce their rates as well. A good comparison for this would be when Telus, the telecom giant, introduced a 10-gigabyte phone plan for $60 to drive higher profits; the other telecom giants soon followed in their footsteps. Similarly, in the lending world right now, BMO dropped their mortgage rates for the exact same reason – to drive profits! OFSI Driving Down the Profits – The OFSI stress test requires that all borrowers be assessed for their purchasing power at the posted interest rate. This means that it doesn’t matter what rate the individual banks offer; the rate of measure for the stress test is always the one that is posted. So even though there are customers who would want a mortgage to purchase a property, many of these customers are no longer qualified to get the mortgage as a result of the stress test. In turn, these unqualified customers are no longer taking out mortgages at the major banks – they’ve been priced out. All of this leads to major losses for the big banks. Mortgage Wars! Mortgages are the bread and butter of the major financial institutions because it is a significant driving force for profits. If the amount of mortgages decrease, banks will report lower earnings. Since mortgages make up a large part of the banks’ portfolios, large swings in mortgages will drastically impact their bottom line. Ladies and gentlemen, this is exactly why the banks will go into a mortgage war with one another. When you can’t control the rate that the customer is being stress-tested at, you can only entice them to get a mortgage with a specific lender that has a much a lower rate than the rest. On Sale Now – Currently, BMO has a promotion on fixed rate mortgages at 3.19% relative to the 3.75% rate (on average) that other banks are offering. In addition, BMO is now offering their variable rate mortgages at 2.35% compared to 2.65% (on average) at other major banks – that’s a whole 0.3% less! This mortgage war indicates that banks are struggling to increase the number of mortgages in their portfolio, having to deal with the new OFSI rule changes themselves as well. They are attempting to take matters into their own hands to combat the stress test. Interest Rate Hike – Then What?? So what if there is another interest rate hike when the Bank of Canada makes their announcement next week? There is actually no need to panic if you think about what the banks are offering right now. Interest rate hikes, if any, will go up in 0.25% increments (historically speaking). If you compare this with the BMO promotion on variable rate mortgages that are 0.3% less than the average rate, there is essentially nothing to worry about. We already have a great deal on rates! Any interest rate hike would just essentially nullify the promotional rates. The only condition here, as it’s been since January 1st, 2017, you just need to be able to qualify for the mortgage after the stress test. The Wrap – If the interest rate hike risks have been holding you back from purchasing your next property, now is the time to take action. Take advantage of these discounted interest rates while they last! We have the burden of the stress test now, but every small win in our favour counts!